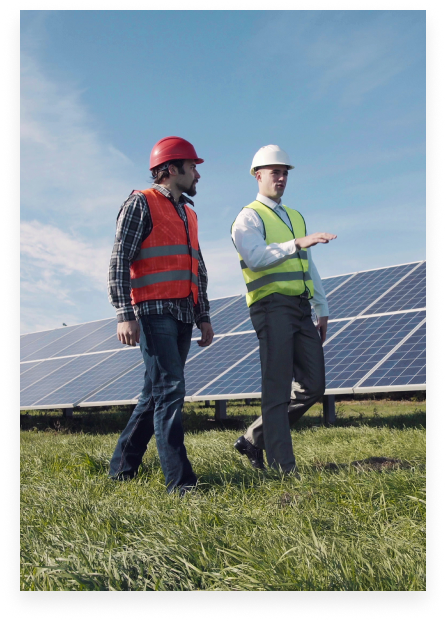 The U.S. Energy & Employment Report provides a unique window on the people who meet the nation’s energy needs, and identifies important trends and skill sets for the 21st Century energy workforce. Energy Futures Initiative, a not-for-profit clean energy think tank led by former U.S. Secretary of Energy Ernest Moniz, and the National Association of State Energy Officials, which represents the 56 governor-designated State and Territory energy officials, teamed up to produce the 2018 USEER and are again producing this report. 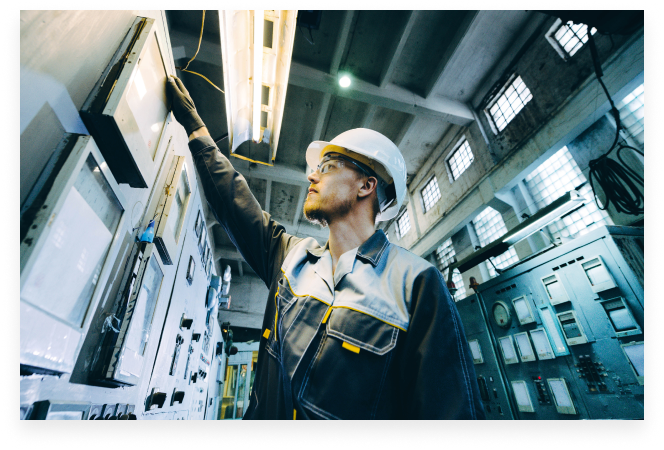 Based on a comprehensive analysis of employer data collected in the fourth quarter of 2018, the 2019 USEER finds that the Traditional Energy and Energy Efficiency sectors in 2018 employed approximately 6.7 million Americans out of a workforce of approximately 147 million. Employment in these sectors increased in 2018 by 2.3% from the previous year, adding 151,700 net new jobs, nearly 7% of all new jobs nationwide. The first three of these sectors make up the Traditional Energy sector. This year’s report has expanded to include estimates of job levels in pipeline construction, wages, and energy storage employment. The 2019 report offers—for the first time—comparative analysis of wage levels across multiple energy sectors. This work was prepared under a Memorandum of Understanding between the Energy Futures Initiative (EFI) and the National Association of State Energy Officials (NASEO) and a contract between EFI and BW Research Partnership. NASEO produced the survey in partnership with EFI. The 2019 USEER project was guided by David Foster, who directed the first three editions of the USEER and now serves as a Distinguished Associate with EFI. Data collection and analysis was provided by BW Research Partnership, a full-service research firm with offices in California and Massachusetts. The survey instrument and underlying methodology is identical to that used in the primary data collected on behalf of the U.S. Department of Energy (OMB Control No. 1910-5179) for the 2017 U.S. Energy and Employment Report and secondary data from the United States Department of Labor’s Quarterly Census of Employment and Wages for the second quarter of 2017. Neither EFI nor NASEO, nor any of their employees, nor any of their contractors, subcontractors or their employees makes any warranty, express or implied, or assumes any legal liability or responsibility for the accuracy, completeness or any third party’s use or the results of such use of any information, apparatus, product, or process disclosed, or represents that its use would not infringe privately owned rights. The USEER provides individual state snapshots that are useful for understanding and comparison. Click on each state to see topline information. The USEER survey is based on a supplemental survey of employers that expands on Federal Bureau of Labor Statistics (BLS) employment data and offers detailed information found nowhere else, making it an invaluable tool for policymakers, academic officials and business executives. 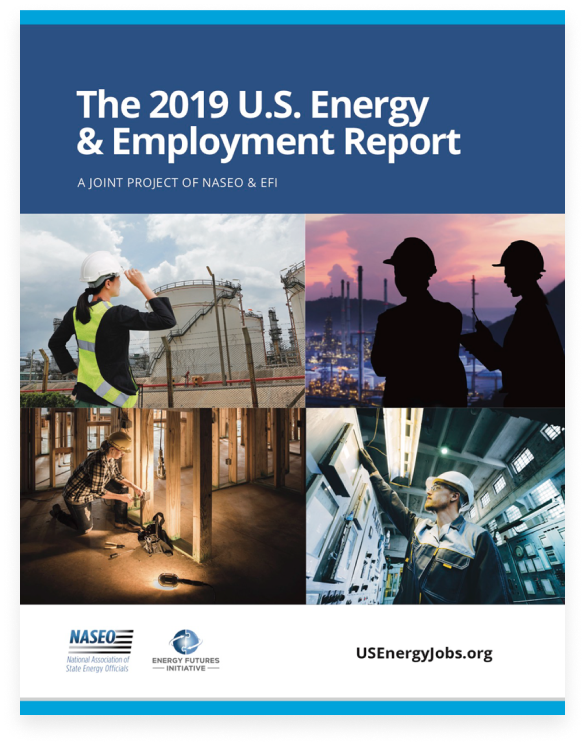 The U.S. Energy & Employment Report (USEER) is an annual report, based on a survey administered to over 30,000 employers across 53 different energy technologies. Originally published by the U.S. Department of Energy (DOE) in 2016, the USEER was produced in 2018 and 2019 by the Energy Futures Initiative (EFI) and the National Association of State Energy Officials (NASEO) under the identical, federally-approved protocols as previous editions. Produced by the Energy Futures Initiative (EFI) in partnership with the National Association of State Energy Officials (NASEO), the U.S. Energy and Employment Report (USEER) provides a quantitative lens with which to evaluate the employment impact of new energy technologies, shifting fuels deployment, and evolving transmission and distribution systems. It also presents a unique snapshot of energy efficiency employment in key sectors of the economy, including construction and manufacturing. The report also illustrates how fuel efficiency as well as new technologies and materials affect employment in the motor vehicle industry. Data collection and analysis was provided by BW Research Partnership, a full-service research firm with offices in California and Massachusetts. The report and this website were designed by MG Strategy & Design.